One thing one can truthfully state regarding the deplorable Canadian Harper government: It is consistent in its duplicity and hypocrisy. Its adherence to Israeli dictates is beyond embarrassing for saner Canadians. But, we are truly the minority in this brainwashed Israeli outpost. It is deplorable that this simian buffoon Baird speaks for the Canadian people. 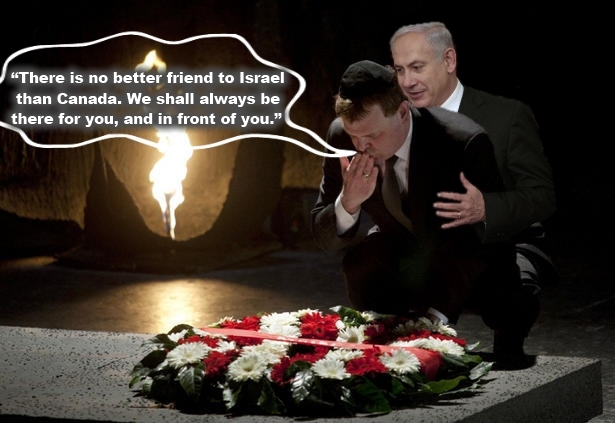 But then, he is merely a Harper toadie and a Zionist tool. What is behind this decision? The true story needs to be told. Why this timing? What does it mean for Iran and the military situation? Why this sudden urgency? Shortly before the start of last month’s Sixteenth Summit of Heads of Non Aligned countries in Tehran, Canadian Foreign Minister John Baird issued a robust statement urging United Nations Secretary General Ban Ki-moon to turn down the invitation to attend the meeting in the Iranian capital. These are uncharacteristically tough words on an international political issue from a Canadian Minister of Government though it seemed that what Mr. Baird had to say failed to impact on the UN Secretary General’s decision. He travelled to Iran anyway. The end of the Cold War coincided with the NAM losing much of the attention that it had gained in the ‘60‘s and ‘70’s, as economically challenged member states rushed to secure bilateral and multilateral financial support from both Washington and US-backed multilateral financial entities including the International Monetary Fund and the World Bank. The changed economic outlook of several member countries resulted in a widespread perception that Non Alignment had lost its relevance. Some writers even ventured to describe the movement as an anachronism, the justification for that description being that in the absence of what used to be known during the Cold War era as spheres of influence or otherwise had become a non-issue. As it happens, however, the Non Aligned Movement as a formal organization has not only outlived the Cold War ~ a fact which has surprised many students of international relations ~ but has also managed to retain a membership that ranges from such implacable enemies of Washington as Cuba, North Korea and Venezuela to such staunch allies of the US as India, Pakistan, The Philippines and Kenya. Last month’s Sixteenth Summit of Heads of Non Aligned nations may not have attracted the kind of attention which the NAM gained during the heady days of the 1970’s though its significance was underscored by the presence in Tehran of Heads of Government from countries like Egypt and India, both long-standing allies of the United States. More than that the very location of the recent Non Aligned Summit in Tehran would have sent a discomfiting message to Washington that the west’s efforts to present Iran as an international pariah is only gaining limited ground in the international community. If the Canadian Foreign Minister’s criticism of Ban Ki-moon’s decision to attend the Iran Non Aligned Summit is perhaps understandable given Canada’s outspoken position on what it perceives as the danger which a nuclear armed Iran might pose to world peace, it is not difficult to see why the UN Secretary General would have chosen to make the journey. Egypt, Libya, Tunisia and Syria, all long-standing members of the NAM, have all been profoundly affected by the “Arab Spring,” which, incidentally, has resulted in differences between Washington and Moscow at the level of the UN. Syria, another member of the NAM is in the throes of a grave internal crisis which, again, has global implications. Some of the NAM member countries that are close allies of Washington are likely to be less comfortable with the political rhetoric of the movement though they are far more likely to embrace the economic discourses at a time when what some developing countries are describing as predatory global capitalism has come in for widespread criticism. While several NAM member countries have become decidedly more receptive to western economic policies in the post Cold War era, the NAM, nonetheless, continues to embody the desire of many developing countries to chart their own courses on some important global issues including energy and climate change. The NAM may have lost the aura of political attractiveness which drew developing countries to both the message and the movement, particularly, during the 1970’s. Nonetheless, in the same manner the events in the Middle East have conspired to draw a measure of international attention to the sixteenth summit of the NAM, so too might the movement persist and, in the process, make meaningful if occasional contributions to the fabric of international relations. Canada has suspended diplomatic relations with Iran and is expelling Iranian diplomats from Canada, Foreign Affairs Minister John Baird announced in a statement today. Speaking to reporters in Russia, where he's attending the Asia-Pacific Economic Co-Operation summit, Baird said the government is formally listing Iran today as a state sponsor of terrorism under the Justice for Victims of Terrorism Act. That will theoretically allow Canadians affected by terrorism supported by the Iranian regime to sue. "Iran is among the world's worst violators of human rights. It shelters and materially supports terrorist groups," Baird said, adding: "Unequivocally, we have no information about a military strike on Iran." In the statement, Baird said Canada has closed its embassy in Iran, effective immediately, and declared personae non gratae all remaining Iranian diplomats in Canada. Those diplomats must leave within five days. All Canadian diplomats have already left Iran. "Canada’s position on the regime in Iran is well known. Canada views the government of Iran as the most significant threat to global peace and security in the world today," he said in the statement. The statement cited Iran's support for Syrian President Bashar al-Assad's regime, its failure to comply with UN resolutions on its nuclear program and its threats against Israel. It also makes reference to Iran's "blatant disregard" of the Vienna Convention that guarantees the protection of diplomatic personnel. Last November, Iranian students stormed the British Embassy in Tehran and ransacked its offices. Britain's Foreign Office summoned an Iranian diplomat in London amid complaints that Iran failed to provide proper security to the embassy and didn't do enough in response to the attack. Israeli Prime Minister Benjamin Netanyahu issued a statement congratulating Prime Minister Stephen Harper on the move, calling it a courageous act of leadership. “Canada has closed its embassy in Iran, effective immediately, and declared personae non gratae all remaining Iranian diplomats in Canada. “Canada’s position on the regime in Iran is well known. Canada views the Government of Iran as the most significant threat to global peace and security in the world today. “The Iranian regime is providing increasing military assistance to the Assad regime; it refuses to comply with UN resolutions pertaining to its nuclear program; it routinely threatens the existence of Israel and engages in racist anti-Semitic rhetoric and incitement to genocide; it is among the world’s worst violators of human rights; and it shelters and materially supports terrorist groups, requiring the Government of Canada to formally list Iran as a state sponsor of terrorism under the Justice for Victims of Terrorism Act. “Moreover, the Iranian regime has shown blatant disregard for the Vienna Convention and its guarantee of protection for diplomatic personnel. Under the circumstances, Canada can no longer maintain a diplomatic presence in Iran. Our diplomats serve Canada as civilians, and their safety is our number one priority. “Diplomatic relations between Canada and Iran have been suspended. All Canadian diplomatic staff have left Iran, and Iranian diplomats in Ottawa have been instructed to leave within five days. “Canadians in Iran seeking routine consular and passport services should contact the Embassy of Canada in Ankara, Turkey, or any other Canadian mission. Those who require urgent assistance should contact the Emergency Watch and Response Centre in Ottawa, by calling collect at 613-996-8885 or by sending an email to sos@international.gc.ca. It means Zionist Occupied Globe. 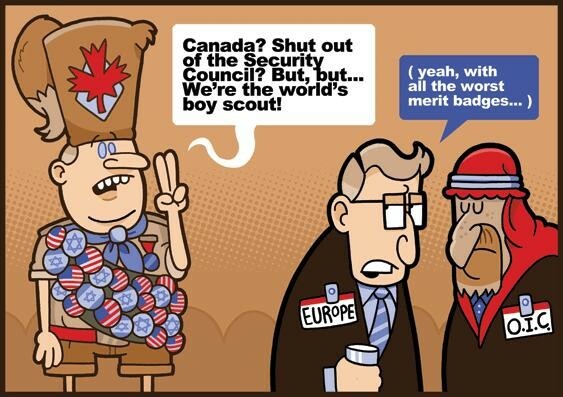 We had Bush and now the lackey Obama and poor Canada has that buffon Harper. Keep up the great work. Glad you liked the "It wasn't Muslims" piece. Hi Greg and tyvm for that snippet of information. It certainly is truth. Marty and Kate, thank you for your work and for identifying where that piece came so now I have a link back to your site added. I am glad you mentioned this. 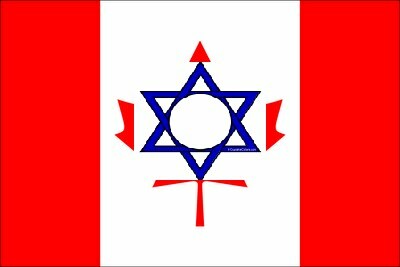 Harper, named his own children after Jews to seal the deal. 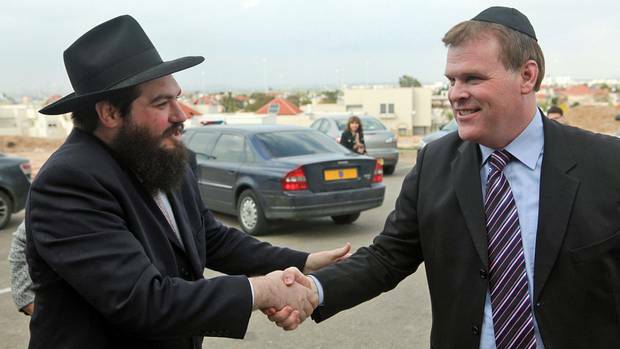 Baird is the lunatic who yells and screams in Parliament to intimidate people who do not follow the Jew. Sounds like this action is the run-up for something bigger. Indeed Fitz it looks that way ... nothing unanticipated there though, is there? London did the same thing awhile back however. Hi Mary, such a delightfully Irish name ye have, lassie. I did not know that about Harper. Is there any chance you have a link to that snippet of information? As for Baird, I had his number the moment I saw his overhanging brows and that constant view of his tonsils as he yells. When I describe him as simian, I am fully aware that I am insulting every monkey and ape on the planet. All jews/zionists should be totally and utterly eradicated from the face of the earth. Maybe then half the wars and strife in the world will go away. The biggest war mongers in the world are these people, not Iran, not Syria, and the west supports them???? Urgh???? Sadly, Betty, your country and mine are major cheerleaders for Israel, along with France and the US. I know that London closed its embassies awhile back. Your country and mine are both Israeli occupied satellites.